Each participant can present a total of 12 photos (4 per category), which should be uploaded through the FOTICMAB 2019 website: https://resources.icmab.es/foticmab/, with a short description of the photo and the participant's contact details. And each participant can present 1 video (individual or in group). The new video category of "CLOWNTICMAB" is for short videos (30 seconds up to 2 minutes) related to science or not, but in a funny and humorous way: short experiments in the lab, demonstrations, funny quotes, etc. We encourage people to present a video, either individual or in group, about the work in the lab, or in-house experiments, or the work in the office. Videos must be submitted in its original format following the instructions on the terms & conditions. The deadline to participate is from 15 April to 26 May 2019. 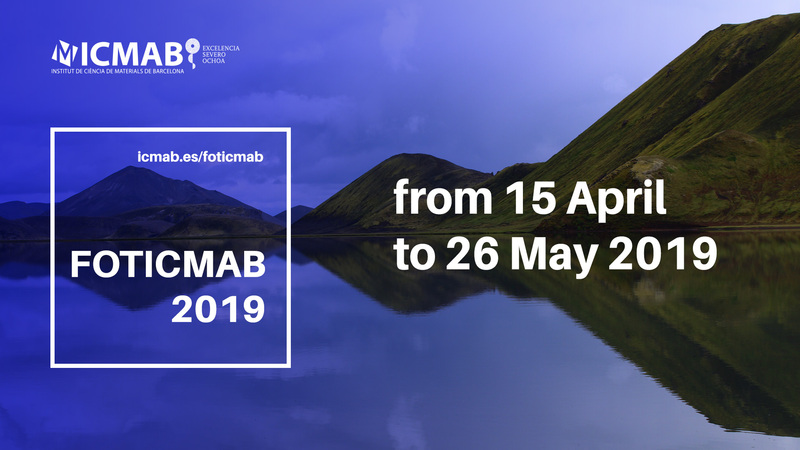 All the photographies and the videos will be posted on the FOTICMAB 2019 website and will be submitted to popular voting, from 28 May to 9 June 2019. There will be prizes for the winner in each category. The winner and the prizes will be announced on 14 June 2019, during the ICMAB anniversary celebration. The ICMAB will be able to display/play freely any of the pictures and videos that have received or not any of the prizes, citing always the authorship. They will not be transferred to third parties, in any case, unless authorized by the author.